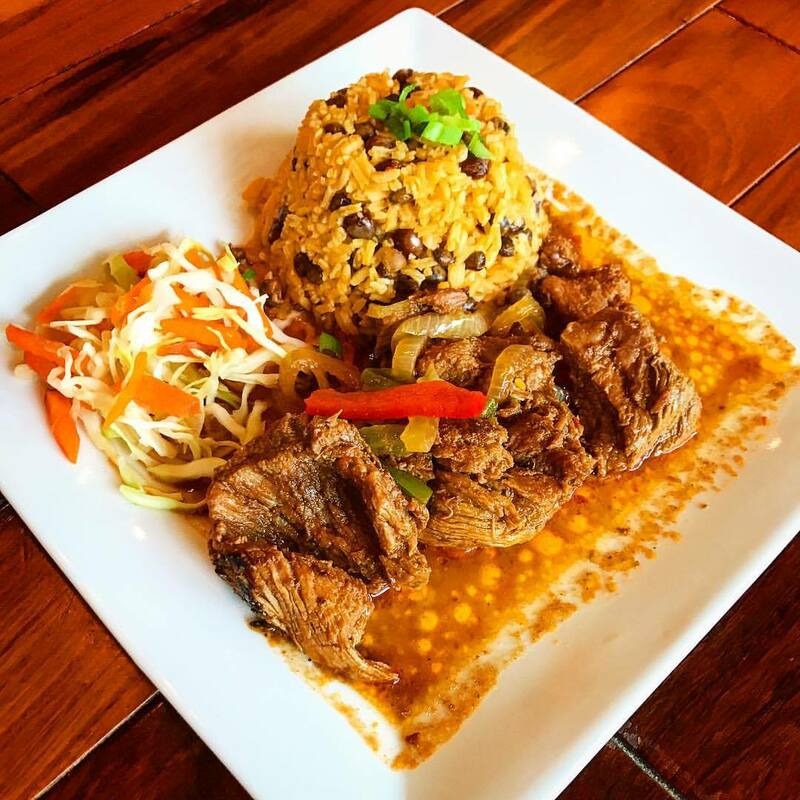 Island flavor … Named after a traditional Dominican dish, Mangú opened up recently on the Westbank. Owner Dariana Marte and her parents, Jose Dario and Jhovanny Marte, have teamed up to treat New Orleanians to a taste of the Dominican Republic. 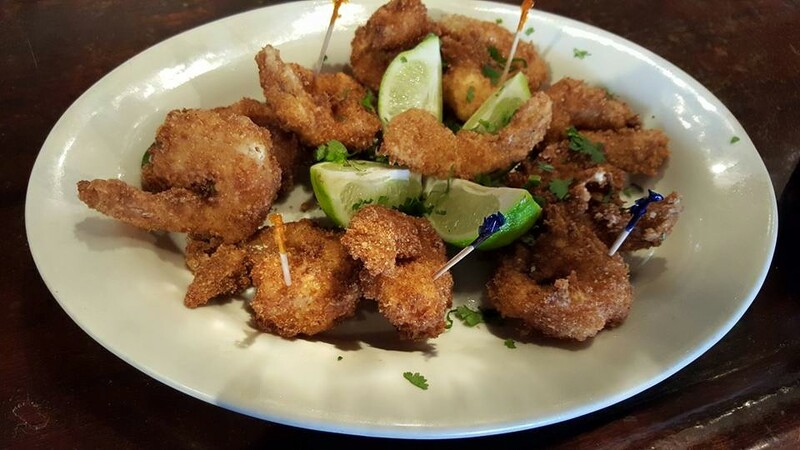 Located on Belle Chasse Highway, the new restaurant is serving up dishes like whole fried snapper with fried green plantains, mondongo (tripe stew), sancocho, and creative fusions like their “Mangú Italiano” with mashed plantains, angel hair pasta, and marinara sauce. 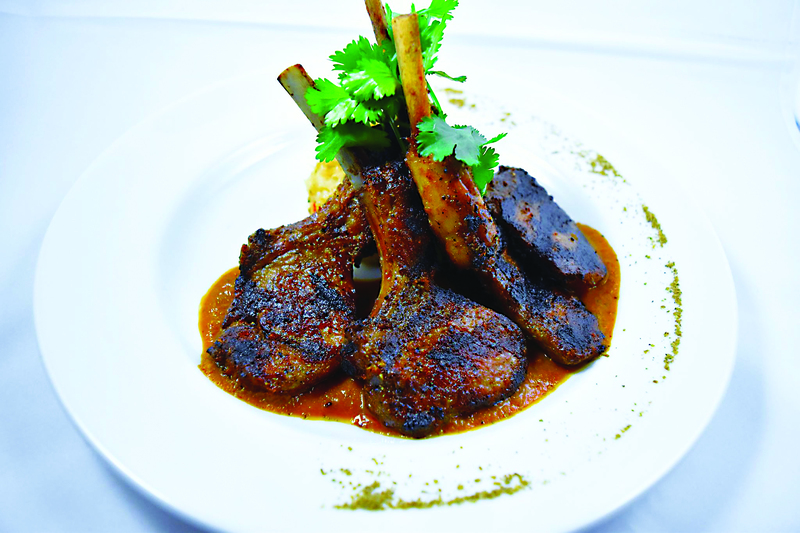 Threads of gold … After much anticipation, Saffron NOLA finally opened its doors on Magazine Street. For many years, the Vilkhus family business has been operating as mainly a catering operation and from that grew a “one-night-a-week” pop-up where they'd serve their highly sought-after cuisine in a formal restaurant setting in Gretna. Now diners can look forward to an Indian-inspired dinner (or brunch) anytime with the new restaurant open in the former Saveur space on Magazine Street. The menu includes dishes like Crabmeat Pudha with lentil pancakes and date-tamarind chutney, curried seafood gumbo, saag paneer, pork vindaloo with Goan-style curry, and plenty of delicious naan—plain, garlic, and truffle! Another festival? 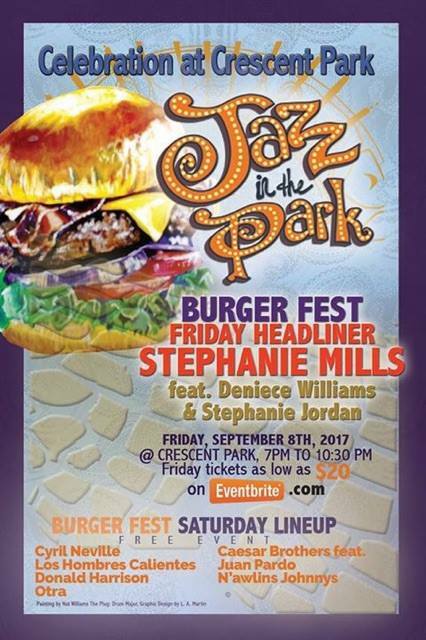 … Because there were still a few days of the year when New Orleans wasn't festin', a brand new Burger Fest is breaking out their buns on September 8 and 9 this year at Crescent Park. In concert with People United for Armstrong Park's “Jazz in the Park” series, the Burger Fest will feature vendors like Praline Connection, Creole Sneaux, Chef Johnson's Lobster Cheese Burger, Voleo Seafood Restaurant, Sweat Soul Food, and more. You can also count on scarfing those burgers to the sounds of Cyril Neville, Los Hombres Calientes, N'awlins Johnnys, Caesar Brothers Funkbox, and other local musicians. Mark your calendar! 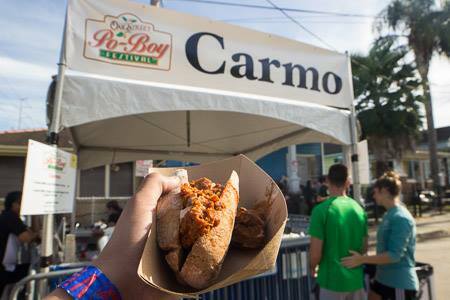 … The 11th annual Oak Street Po-Boy Festival will be held this year on Sunday, October 22, from 10 a.m. to 8 p.m., according to the announcement on the festival's Facebook page. The hugely popular event will once again take place on Oak Street in the Carrollton neighborhood and feature tons of local vendors like Blue Oak BBQ, Boucherie, GW Fins, Parkway Bakery & Tavern, Mahony's Po-Boys, and Vaucresson Sausage. In previous years, the Oak Street Po-Boy Festival has also featured plenty of beloved local musicians like the Lost Bayou Ramblers, Honey Island Swamp Band, Darcy Malone & the Tangle, and Los Po-Boy Citos. Keep checking their website for new fest features in 2017! Rest in peace … Last month, to everyone's dismay, David Montes de Oca passed away at the too-young age of 36, according to Nola.com. Known as the vivacious and determined owner of Taqueria Chilangos in Kenner, Montes de Oca grew up in Mexico City and moved to New Orleans right after the levee failures in 2005. He started out with a food truck that grew into his restaurant on Roosevelt Boulevard, which later won “best traditional taco” at the Top Taco competition that occurred earlier this year. He even had plans to open a second Taqueria Chilangos on Williams Boulevard. His death will be a great loss to the Greater New Orleans community, and we offer deep sympathy to his family and friends. So long, farewell! 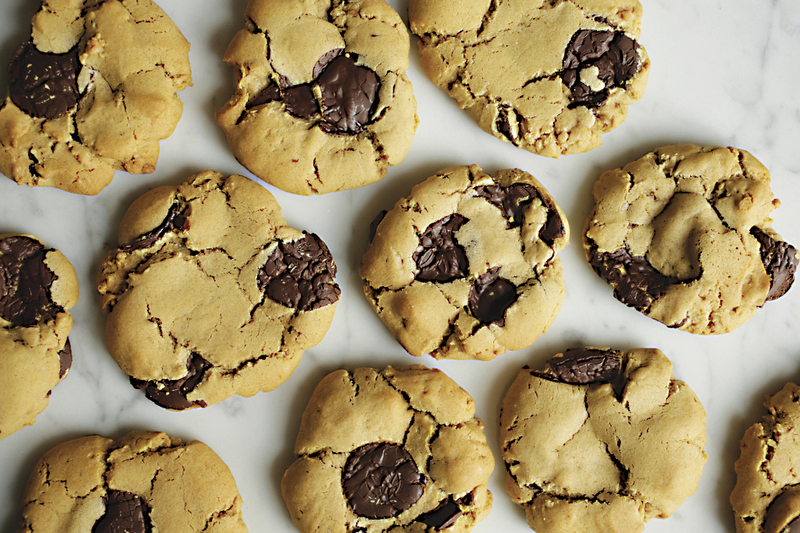 … In what seems to be a trend the past couple of months, several restaurants shuttered recently, enough to warrant what may become a regular section of this column. In late July, Bywater neighborhood joint Cafe Henri, created by the Cure Collective, closed its doors. In an announcement on the restaurant's Facebook page, co-owner Neal Bodenheimer explains the cafe's demise and thanks the devoted fans for their patronage. “While Bywater felt a lot like Freret Street and Lower Decatur, we did not fully appreciate the forces at play. It’s easy to feel the romance of a neighborhood on the rise,” Bodenheimer says. “Yet, each locale comes with its own learning curve.” Citing a loss of film industry business and the evolution of the Bywater into a short-term rental market, Cafe Henri simply lacked enough regular business to continue. They also stated that they hoped to reopen the cafe sometime in the future in another location. Also at the tail-end of July, the popular N. Rampart Street eatery Dreamy Weenies shuttered after more than five years of business. Offering house-made franks, turkey wieners, Polish sausage, and halal beef, Dreamy Weenies had an enormously diverse menu and a huge following. No reason has yet been discovered regarding the closure, but regardless of why, they will be missed! In the same fateful time period as the closings of Cafe Henri and Dreamy Weenies, Italian restaurant Altamura also closed its doors. Located inside the elegant Magnolia Mansion on Prytania Street, Altamura was a restaurant that opened only a year ago by Jack Petronella of Manhattan Jack.To make matters worse, Manhattanjack has now officially closed. 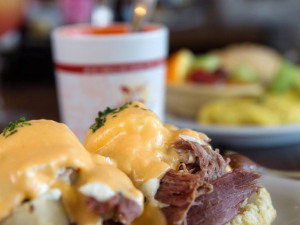 Co-owner Coleman Jernigan wanted to keep the popular coffee and breakfast spot on Prytania Street open, but was unable to due so because of financial problems.